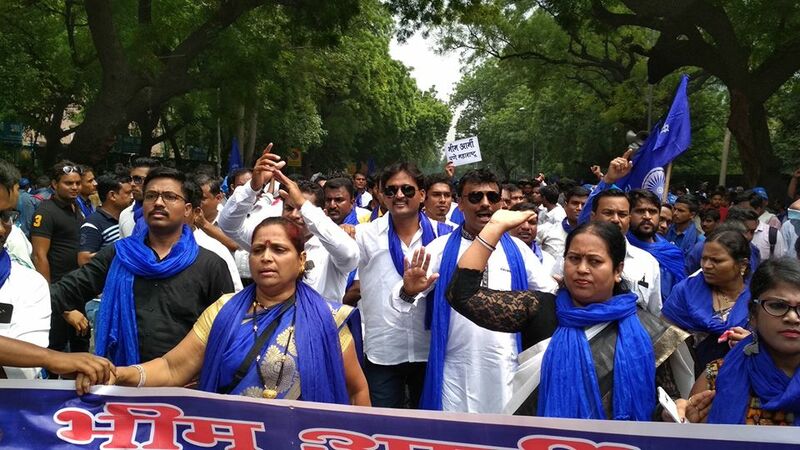 Yesterday, 19th August, several thousands marched in Delhi at the call of Bhim Army, demanding #releaseChandrashekharAzadRavan and all dalit activists, #ArrestShambhajiBhide & other accused of Elgar Parishad violence, #releaseGadling & 4 other activists in jail under false cases, #dropFalsecases on 2 April Bharat Bandh protestors, and adequate compensation to all affected of Police and dominant caste violence. Bhim Army was founded in 2015, with the chief aim of spreading education through “Bhim pathshalas” – makeshift tuition classes located typically in dalit hamlets of villages, meant for children to get help with their studies after school hours. 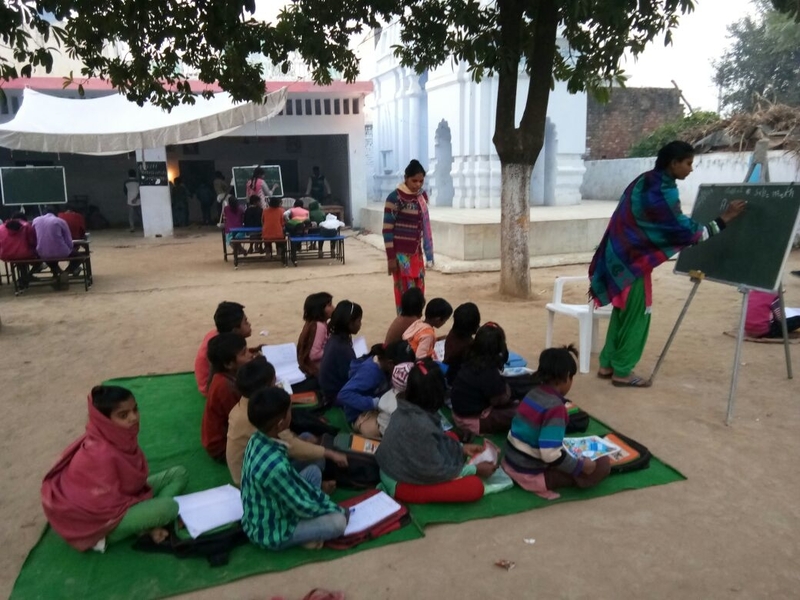 “For two hours a day, after school hours, Dalit children of all ages from across Western Uttar Pradesh gather under the shade of a tree or the courtyard of a Ravidas Temple or sometimes, even the house of a Bhim Army operative to learn”, said Sarita Ambedkar, Bhim Pathshala teacher and National Spokesperson of the Bhim Army Women’s Wing, in an interview. But these are not just yet another organised attempt to ‘empower’ children from marginalised backgrounds, or to help them succeed with their school curriculum. What the Bhim Army seems to have got into, is a fight for history itself. A GroundXero report. From a handful that were opened on July 21, 2015, over the past 3 years it is claimed that the number of Bhim Pathshalas across UP has crossed a thousand. According to Vinay Ratan Singh, National Co-Convener of the Bhim Army, the Pathshalas have started coming up now across other states as well. “We have attacked the breeding ground of Sangh’s politics”, claimed Vinay Ratan, while talking about how these pathshalas have spread across large parts of Western UP despite active opposition and crackdown by the state. ‘Breeding ground’ of RSS’s politics here refers to it’s education movement. Although Bhim Army Saharanpur district President Kamal Singh Walia has been quoted as saying that “I am here not to compare RSS and Bhim Army. We have are our mission and they have theirs”, it does look like the RSS-controlled power structures of Western UP is rattled by the Bhim Army, and one of the central terrains where that conflict and resistance is playing out is informal primary education. Quasi-governmental or non-governmental primary education in Western UP has for long been controlled by RSS’s Ekal vidyalayas network. Beginning with a single-teacher school in the tribal area of Gumla, Jharkhand in 1986, fueled by undeterred Corporate-NRI-NGO and official Government support over the decades, the number of ‘Ekals’ have shot up to around 52000 in 2018. Funded in bulk by US based NRIs organised under VHP America and its NGO fronts like the IDRF, and corporations such as the Zee and Essel Networks, Ekal Vidyalayas particularly target tribal areas and ‘conflict zones’. According to filed tax returns, the Ekal Vidyalaya Foundation of America raised a whopping $7,249,644 (almost Rs 47 crores) in 2017. Institutions such as Rotary International, CII, IIT Mumbai, etc have regularly partnered with the EVF in their ‘educational activities’. People like B. K. Modi (founder of ModiCorp), Justice P. N. Bhagwati (former Chief Justice of India), L. M. Singhvi (former High Commissioner for India in the UK), Abid Hussain (former Indian ambassador to the US) have been on the board of trustees. The foundation was headed in the past by Subhash Chandra, Chairman of Essel Group and the founder of Zee TV. Hema Malini served as their global brand ambassador. On the other hand the Bhim Pathshala founder is still in jail, many of their activists have police cases on them and have spent jail time already, and the teachers and students at these schools are regularly hounded by the state police and local leaders. However over the last few years, the RSS seems to have been rattled a bit by this movement. In a statement post the recent Kairana by-elections, RSS held Bhim Army responsible for BJP’s defeat. The question is, given the clear mismatch between power and resources, why is the RSS so concerned about Bhim Pathshalas? These ‘pathshalas’ or tuition centers, run by cadre and other volunteers, with individual donations, in a way form the basic organising units of the Bhim Army. In addition to helping school going children with their math or science lessons, the pathshalas talk about social and political reformers like Dr. B.R. Ambedkar, Sant Ravidas, Sant Valmiki, Savitribai Phule, Kanshiram, and others – not just as icons, but as history-makers of the anti-caste struggle. 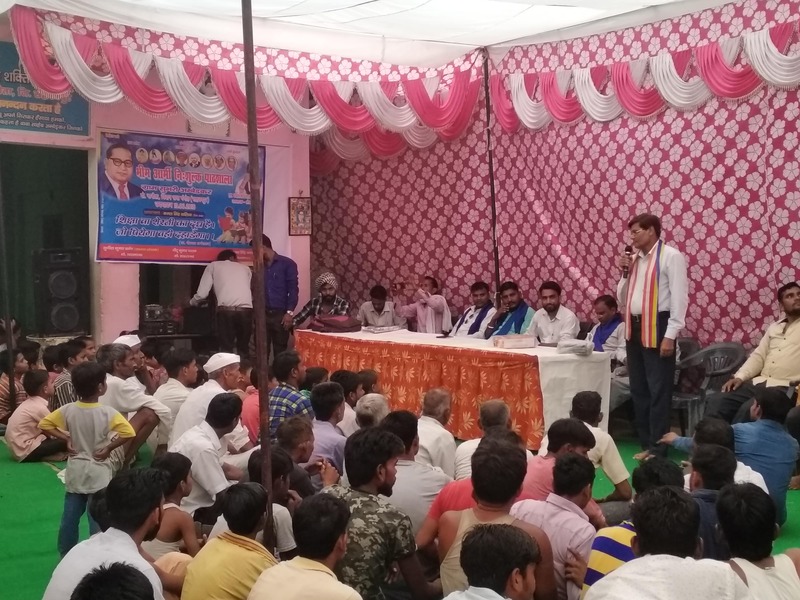 During the inauguration meeting of a Bhim pathshala in Chamanmajra village, Advocate Sunny Gautam, while addressing the 70 odd children and their parents who had come to get enrolled, said, “We (Bhim Army members) are all atheists here. The only people who deserve our true respect are our parents, our community and our comrades, not some fictional gods.” In the same meeting, another speaker Vinod Pradhan launched a scathing critique of religious superstitions, concepts such as re-birth, etc. “Our only ‘god’ is our intellect, we need not borrow anyone else’s gods”, he said, amidst loud cheers from the children and adults squatted under the makeshift tent. This loud rejection of dominant iconography and the assertive celebration of one’s own history and culture, ready to look at education as an instrument for instilling the courage in young minds so they can announce their unapologetic political arrival – is what the battle seems to be about. Currently this battle in Western UP is being led by the Bhim Army. However the real threat seems to be more about the political relevance and appeal of their politics, and the replicability of the model and it’s ideas. 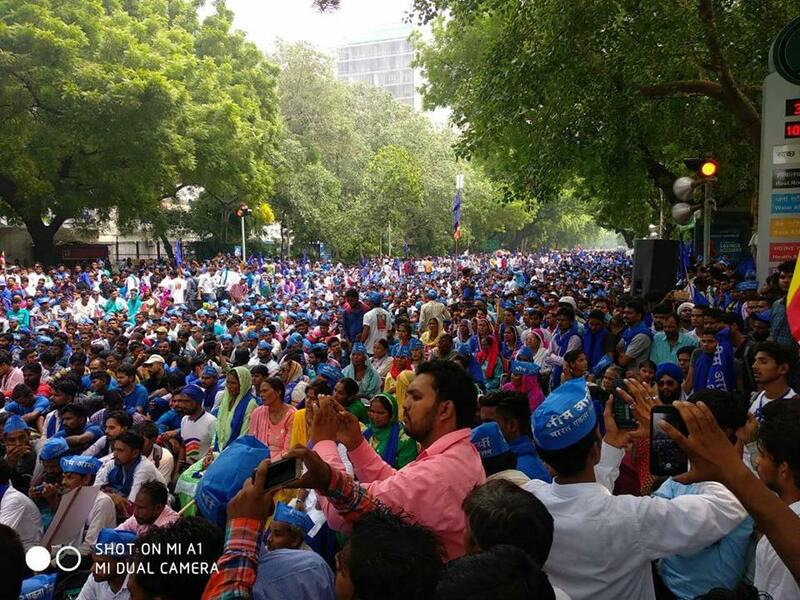 This has been seen in the case of Ambedkarite organisations across the state taking up education as a political struggle, many of them directly connected with the Bhim Army, many only loosely so. Together, this network of village-based units seems to have taken this battle into the camps of Sangh Parivar affiliated institutions across the state. The backlash has taken various forms, including regular violence inside the classrooms – supposed to be spaces of children – where new ideas for a just future society are ideally supposed to take shape. There are many instances of ‘Bhim pathshala children’ being singled out and humiliated in the classrooms. Retaliatory questions such as “Have you or your parents read the Constitution at all?” (before celebrating it as a document drafted by a dalit lawmaker) are regularly used. “Jai Bhim nahi chalega toh Jai Shri Ram bhi nahi chalega”, is what a Bhim Army functionary told the local school headmaster, when he objected to a student in his class using “Jai Bhim” as a greeting – something that the child had picked up from the Bhim Pathshala he attends after the school hours. The above tweet captures the conflict in a nutshell. RSS’s instruments when it comes to primary education have historically been the Ekal Vidyalayas, Saraswati Shishu Mandirs, Vidya Bharati, Seva Bharati, etc. Ekal Vidyalayas are an explicit initiative of the VHP America, with the aim of imparting ‘Ethics-based education’ in villages where the Government does not reach. In a context where public infrastructure of school education has been systematically gutted by the State-Corporate interests leaving a vacuum everywhere, fertile breeding ground for these Vidyalayas were available in plenty. These makeshift schools are run by a single teacher (therefore the name ‘Ekal’), the chief topics of instruction being arithmetic, songs, Hindu scriptures, shlokas, and Hindu satsang. Like any other such effort by forces hegemonic in society, these institutions on the surface advertise themselves as ‘inclusive of all castes, classes and religions’. However the actual content that gets taught here are loaded with narratives of intolerance and hatred against religious minorities and various social ‘others’, inculcating self-hate among children belonging to marginalised communities, and then projecting Hindutva, or the so-called ‘Sanatan Dharma,’ as the only means to redeem oneself. “We appreciate this initiative but they should take children from every class & religion”, says the above tweet. When asked about who can attend or teach at the Pathshalas, Bhim Army National Convener Vinay Ratan Singh said, “Our meetings typically happen in the Dalit community spaces in the village, so ultimately only dalits show up… But there is nothing in our policy that prevents anyone who is interested in either teaching or enrolling in these schools, on a voluntary basis. There are many from the Bahujan and Muslim communities in our schools. In some villages, even Savarna children have come enrolled in the Pathsalas”. Though the Ekal website puts up claims such as “out of targeted 1020 villages (in Jharkhand), in 828 villages the differences on basis of caste etc. were eliminated totally to achieve harmony”, it is a known fact that in practice the Vidyalayas are about relentless shaming of marginalised communities about their own history and culture, and projecting hindutva as their only hope for respectability – a cultural jihaad – all in the name of ‘mainstream syllabus that will help them in the future’. This seems to have worked for them over the decades for establishing cultural and political stranglehold over such people, forming the foundations for the subsequent political takeover of national politics we see today. Bhim pathshalas, on the contrary, are a celebration of the histories of the oppressed, forming a ‘bridge’ between the children’s homes, their parents, their communities, their labour, and the idea of school education. “Religion & Cast shd taught by Parents not school [sic]”, in the above tweet, reflects the insecurity arising precisely from such a bridge between the school and the community. The Sangh’s educational model, designed precisely to perform the task of destroying all such bridges, perceives itself under threat therefore. 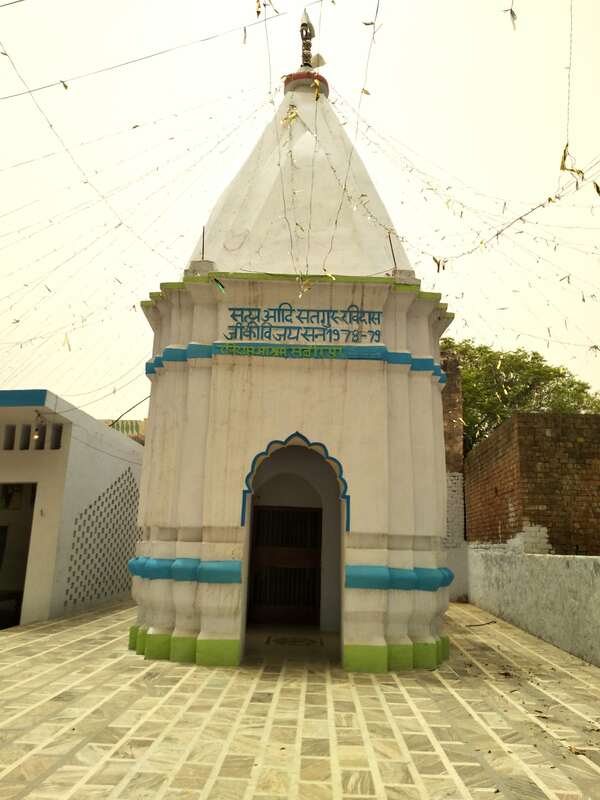 Threats are also perceived from a rediscovery of ‘dalit spaces’ in a typical Western UP village, for example, the Sant Ravidas temples. 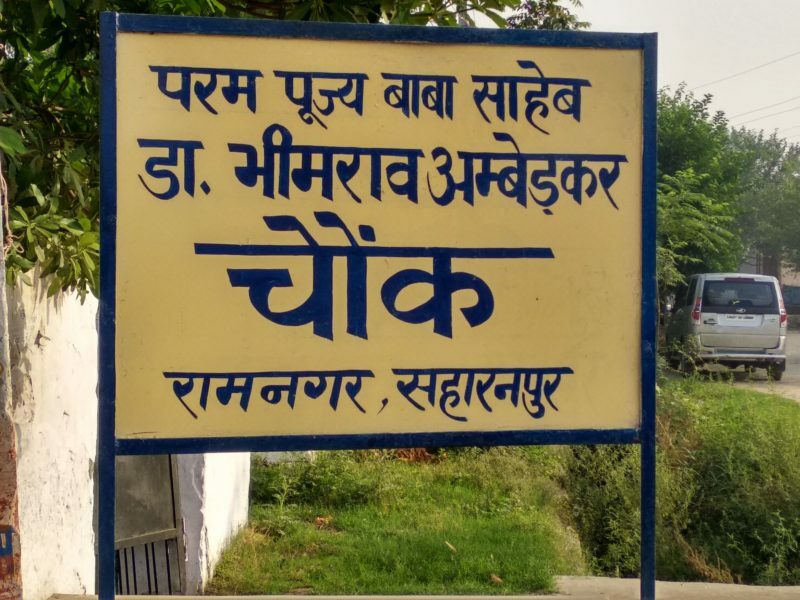 Through the pathshalas, many of these sites that symbolized the ‘dalit ghetto’ as far as the dominants were concerned, have been refashioned as sites of community meetings and gatherings, as sites of an unapologetic Ambedkarite education. The RSS, which has historically mastered the act of occupying community spaces for territorial control, feels paid back in its own coin because of this. The frustration shows in regular attacks on Ravidas shrines by organised Sangh parivar forces, for example in Shabbirpur last year. This is not to say that Ravidas temples are being attacked only or primarily because of Bhim Pathshalas – there was no presence of the Bhim Army in Shabbirpur when the Rajputs attacked. However, the political rejuvenation of such spaces now poses a potential threat to the upper caste forces who are seeing ghosts everywhere. The Bhim pathshalas have opened up a can of worms about primary education, taking on the absence and deletion of dalit histories and anti-caste struggles from school curriculum. 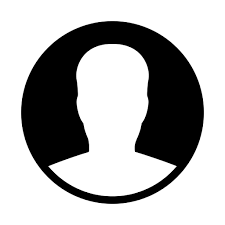 “There is very little or no mention of our people and leaders in mainstream education. They make our children worship Saraswati as the goddess of education, but they will never talk about the woman teacher who literally brought education to this country – Savitribai,” said one of the speakers at a meeting. “The primary school system is in shambles, mostly what you can find are meals being served to children, but no education. And it is our children who have to depend on such schools. The upper caste children are mostly sent to expensive private schools,” says Vinay Ratan. Gutting of the primary education system is clearly seen as the means to further marginalize and subjugate particular communities. This echoes in the words of Sarita Ambedkar: “The children of Brahmins are given the first row, followed by Jats and Gujjars. Dalit and Muslim kids are seated at the back. They have to wait till the upper caste kids are done drinking from the school’s hand pump. This crushes the morale of a young Dalits. But when they come to my class, I make sure that I build their confidence again by telling them that great men and women come from their community too”. This constitutes a shift in the narrative when it comes to critiquing the lack of public education infrastructure, much to the discomfort of the RSS. RSS have been projecting their schools as a philanthropic effort to fill in the gaps left by the public education system, offering ‘mainstream education that will help them’, in a way ‘completing’ the Government’s efforts. For the Bhim Army and children in these pathshalas, schools are no longer legitimate seats for ‘education’. Although this is not to suggest that the public education infrastructure stands outrightly rejected by the movement, in fact school education is seen as central instruments to empowerment of dalit communities, but pedagogically these pathshalas are coming up in opposition to State designed schools. And there is a clear conflict with the hegemonic take on primary education. The proliferation of Sangh’s primary education policy on the ground has been actively aided and abetted by every Government in this country, irrespective of their official political colour. Ironically, after all these decades of patronage from the liberal state apparatus, the right wing wave from below now seems ready to sweep off the same liberal mainstream higher education system built by the Nehru regime. From primary schools to top universities and research bodies such as the ICHR – today the model seems to be that of Ekals: short-staffed institutions peddling essentially Hindu statist ethics, built on the pillars of intolerance, hatred and in particular, self-hate when it comes to certain kinds of people. The future of such efforts depends on the dual task of resisting hegemonic onslaughts and co-option on the one hand while forging active alliances with other movements of emancipation. Though the future prospects and possibilities are something only time will tell, there are instances of attempts at charting newer dimensions. 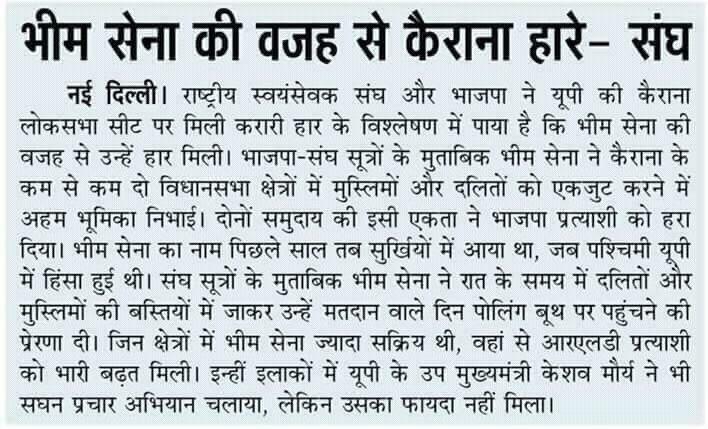 Such an attempt at forging new solidarities could be seen when one of the speakers in the meeting at Chamanmajra village Ravidas temple said, “Dalit toh bahaana hai, asal me muslim (inka) nishana hai”. Lest we forget, this is the same state where Dalit bridegrooms are still prevented by upper castes from riding horses, where dalit boys are killed because of sharing common names with upper castes.